When Facebook first offered advertising opportunities for businesses, most B2B marketers saw Facebook as a B2C platform. They thought most of their audience would congregate around LinkedIn, and even though LinkedIn’s advertising was more expensive, it seemed to be worth the cost. Now B2B marketers understand Facebook advertising a little better. While they don’t offer sales and promotions like B2C marketers, B2B marketers are using Facebook to direct traffic to their sites and encourage potential clients to sign up for emails, download white papers and reserve places at trade shows. Once B2B marketers made Facebook their own, they saw better results than LinkedIn at a fraction of the cost. 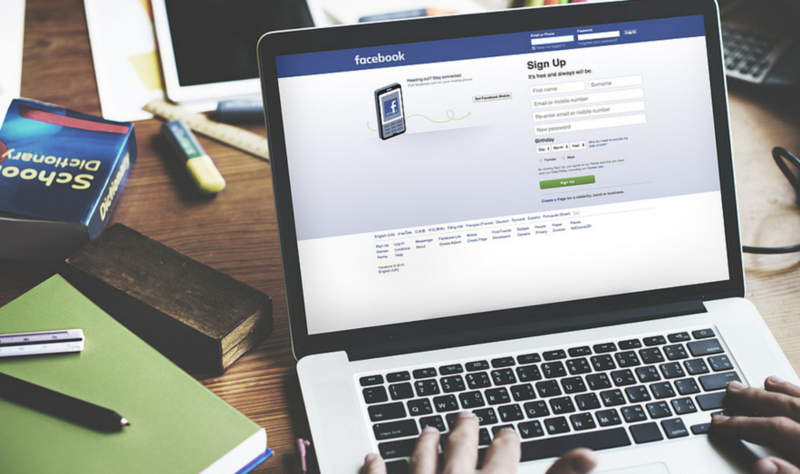 Of course, just having a Facebook page isn’t enough to generate clicks to your website and increase your conversions. If you want to use Facebook effectively, you have to advertise. In this post, we’ll walk you through the creation of a solid Facebook advertisement and provide you with advice for optimization, best practices, and A/B or split testing. Copy length on Facebook ranges from about 30 characters up to 90 characters, depending on the ad. In general, shorter ads tend to be more clickable. Remember, you only have your reader’s attention for a few short seconds. Deliver the message and deliver it fast. Best practices: Your copy should have a strong call-to-action (CTA) to motivate clients and customers to click through the ad. The CTA moves them to complete a certain action–sign up for emails or download an ebook. A good CTA, for example, can help you grow your database. The Stop: A negative CTA (“Stop doing this”) can be highly effective. It makes your reader stop for a moment and consider what they’re doing is wrong. This is often enough to compel them to click through. The Freebie: Everyone likes a freebie. By offering a free e-book download, you give readers a good incentive to click your ad. The Sick-Of: “Sick of poor customer service? Aren’t we all?” Play on a well-known industry pet peeve that many of your clients have. Chances are, other clients share the same pet peeve as well. For most people, a strong or striking image is just what is needed to catch the eye. When they see an ad with an engaging image, they’re more likely to stop and read. And, if your ad copy is strong you have a better chance of getting more clicks and conversations. Post copy and images are the one-two punch of Facebook advertising. If they work in unison, then you won’t have any problems attracting potential clients and customers. Best practices: Depending on the ad you’re creating, you will have to follow Facebook’s image guidelines for sizing. Choose an image with eye-catching colors or imagery. 20 percent of your image is allowed to have copy on it, so take advantage of it. Include roundels or special offers that are likely to attract more interest and attention. Make sure your image is directly related to the content of your ad. Remember, copy and images work hand-in-hand. Don’t confuse your reader with an image not relevant to your copy. A good headline can help prop up a weaker image. If your company doesn’t have a lot of visuals, a headline can help you draw in customers who may not be as taken with your image as you’d like them to be. Tell them the benefits: Don’t beat around the bush. If you’re offering a free e-book download, say it loud and say it proud. Use second person (“You”): This gets the reader directly involved. For example, say, “five things you need to know about SEO” not “five things people need to know about SEO”. Call users to action: Make your copy compel users to act. Invite them to get involved with your webinar or provide commentary. Alternatively, you can complement the call to action button with more information/benefits of your product/offering. Do not use clickbait headlines: You know the type. “You’ll never believe what this stay-at-home mom discovered.” Users that click will discover that your content doesn’t quite live up to the hype, and as a result, clicking on your content altogether. A good link description is your last chance to reel in a client. It’s located toward the bottom of your ad, and it’s focused around what your business can do for your client. With just 200 characters, you can tell your potential client or customer one more time what’s in it for them if they choose to work with your company. Best practices: The best descriptions give readers a concrete value or reason for working with your company. Again, use numbers here to convey value. Telling readers that your company can help improve their productivity by 20 percent is a great reason to click an ad. You can also use social proof here to convince readers of your company’s worth. Citing major industry clients or companies that have worked with your company successfully shows other companies social proof. If those companies were so successful, maybe they will be too. Once someone clicks your Facebook ad, it’s up to your landing page to provide more information and lead the reader to the next step. This is a big responsibility, so your landing pages need to look clean and be easy to read. If your page doesn’t answer this question, then your readers won’t know where to go once they click. Make sure your landing pages are mobile-friendly. According to the most recent statistics from DMR, Facebook had 1.13 billion mobile monthly active users as of November 5, 2015. Chances are that if people are going to click your ad, they might be on a mobile device. Your landing page needs to be responsively designed to prepare for this. Facebook is one of the hottest social networks for B2B digital marketers right now. If you can master all of these ad components, then you’ll have the best chance possible of reaching your demographic and hitting them with the right message. You’ll see an increase in conversions and clicks, and your sales team will be satisfied with the number of strong leads that come in. Mike Bird is a co-founder of digital marketing agency, Social Garden, which specializes in data-driven lead generation and marketing automation to grow companies’ revenue in the finance, property and education verticals in Australia.